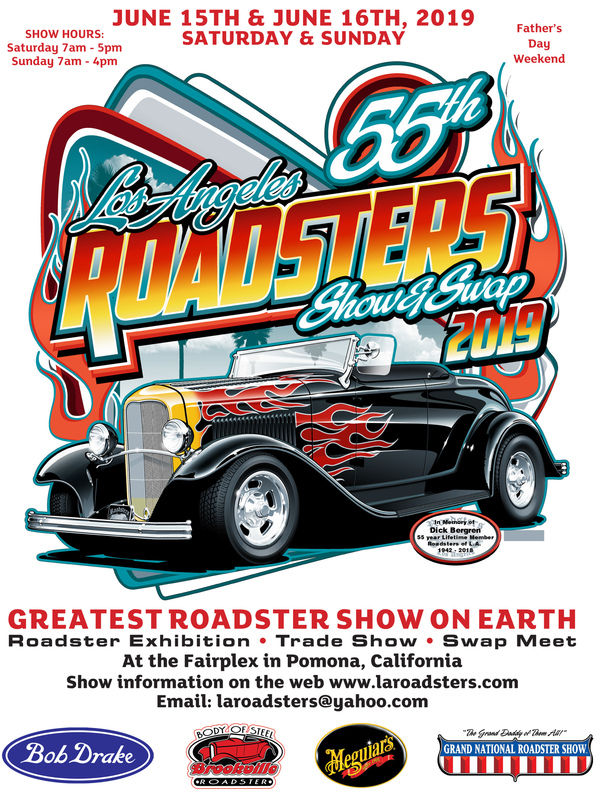 The L.A. Roadsters Car Club is again managing the 2019 Roadster Show and Swap. The 2019 show will be held on Father's Day Weekend on Saturday, June 15th and Sunday, June 16th at the Fairplex in Pomona, California. Year 2019 will be the 55th time the L.A. Roadsters have produced its world-renowned show and the 39th year it will be held at the Fairplex in Pomona. There will be some big changes in this year's show. The main attraction will be the hundreds of 1936 and older open cars of all types and makes; some original, some modified, but all of the highest quality and completely finished with glossy paint painstakingly restored to the owners preference. No flat paint roadsters allowed in Roadster Parking Area. No cruising fairgrounds for liability reasons. There will be no entrance charge for roadster and driver. Passengers will be charged $20 each for the weekend. Roadsters enter through Gate #17. Swap Sellers move-in is Friday at 10:00 am. Enter at Gate #15 off Arrow Highway. Swap meet open Saturday and Sunday 6:00 am. Swap spaces are $80 for Saturday and Sunday. Sunday only spaces are $35. Swap spaces are sold on a first come first serve basis. Each swap space is 25' by 15'. No refunds. No pre-registration after May 1, 2019. Items for sale should be car parts and/or car related items only. Specialty parking now 1980 and older autos and pickups. 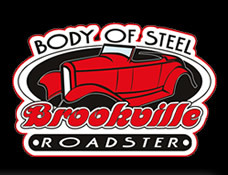 Classics, Hot Rods, and other Special Interest cars will be entered in this large area forming a huge car show. This is also a perfect area to enter cars for sale because it has become a known fact that this is a great place to buy or sell a cool car. Admission is $10 per car, $20 per person/per day. Children under 12 are free. Enter at Gate #15 off Arrow Highway. Spectator parking will be available at Gate #17. Show hours for Saturday will be 7:00 am to 5:00 pm. Sunday 7:00 am to 4:00 pm. Admission is $20 per person/per day, children under 12 are free. Tram service will be available during show hours. Jim Landree's Hot Rod Tours will take place Monday, June 10 – Thursday, June 13 of the L. A. Roadster Show week. Each day, attendees will receive a map and directions for that day’s shop tours. Tours are limited to 40 people per day and will promptly leave at the times noted. Hot Rod Tours will start the morning of Monday, June 10th at 8:00 am. We’re meeting at the NHRA Museum at the Pomona Fairplex at 7:30 am, leaving at 8:00 am. Attendees will receive the tour map on Monday afternoon for Tuesday’s stops and we will meet at the first stop at the time indicated on your tour map. Many new stops have been added to this year’s tours. There will be 5 to 6 stops per day. The cost is $60 per person. Reserve your spot now. Space is limited to only 40 people. If you need more information, please contact your host Jim Landree. located at 2200 N. White Ave.
Scooter rentals will be available at the show for a daily rental fee.